Storage Systems is the leading intralogistics company in Malta, trusted with the most ambitious and innovative storage projects. We are experts in space management solutions and, over the past three decades, have set new standards in storage design and installation. Our team of specialists have pioneered storage products and services in Malta and we have introduced novel concepts in industrial, commercial, and corporate environments to maximise the use of available space and enhance productivity. Storage Systems is the reliable partner to noteworthy players in a breadth of industries both in the private as well as the public sector. As the foremost intralogistics group, we have been entrusted with major projects in Malta and abroad, delivering on our full commitment to high standards and efficiency to each. Storage Systems has built a reputation for quality end-to-end service, with expert coordination and unparalleled after sales. Our intralogistics professionals see more in a site than meets the eye, be it a warehouse, retail outlet, or an office. We envision a space that works better for our clients: makes them more efficient, more organised, and gives them more value per square meter. Storage Systems keeps investing in the latest innovations, systems, and technologies that give clients a leading edge in their processes. Our mission is to keep ahead of the needs of companies and anticipate patterns in the factors that determine their operations. While we enjoy the biggest share of the market, we remain a compact company building honest, trustworthy relationships with our clients. A small team, we started installing racking, palleting, and long span shelving with a focus on the North African market. We turned our attention to the needs of the local market and introduced ground-breaking innovations that markedly raised the standards of intralogistics in Malta. The company experienced significant growth in terms of product offerings and services, staff, contracted projects, and market share, establishing itself as the leading intralogistics setup. Storage Systems was launched as a brand, banking on a strong reputation for quality and frank advice built over years of client-first service. Storage Systems was awarded the tender for the biggest intralogistics project in Malta to date: sourcing, delivering, and installing the specialised equipment and fittings at Mater Dei Hospital. Introduced and implemented novel technological products and services that take clients a step higher in efficiency and operations standards. 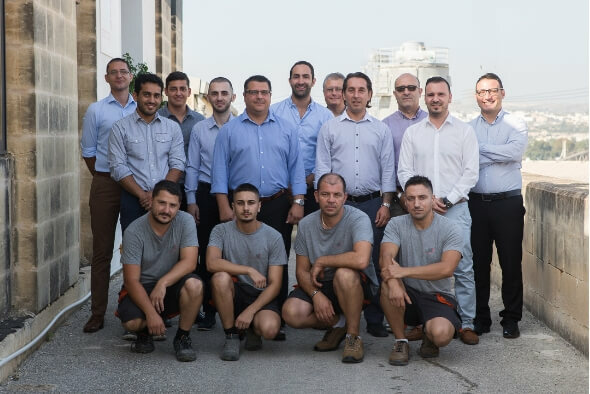 Storage Systems was acquired by Debono Group of Companies broadening its services to material handling and establishing a privileged relationship with Toyota Industries Corporation. Storage Systems moved into new, dedicated premises in Kordin Industrial Estate, giving clients a more focused service while preparing for the next exciting developments. The trusted name in space and storage solutions bringing innovative, cost-efficient products and the highest standards in design, installation, and service. What is this Thing Called Intralogistics?